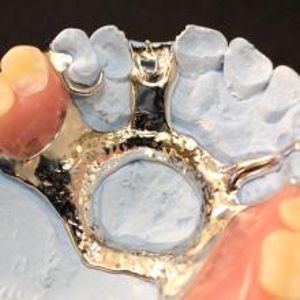 ChromeWorks, Inc. is a dental lab specializing in casting and creating high standard partial frameworks and dentures for dental labs across the country. We have been a leading chrome partial frame lab serving the dental lab industry since 1985, and continue to consistently deliver great service with high-quality products. Our team of uniquely qualified technicians are known for their command of the wide spectrum of solutions required by the industry, as well as advanced products and services available in today's market. We serve more than 400 dental labs across the US and abroad. ChromeWorks, Inc. is based in a custom designed 6,500 square-foot facility located at the Chico, Municipal Airport. Our modern state-of-the-art facility is a leading manufacturer of dental solutions. We are expanding to meet the needs of our growing list of dental lab clients and affiliates all over the country, and expect to continue our organized growth and technical leadership well into the future. Call (530) 230-3526 and see what makes us the best dental lab in the country. Call To Ask About Our Shipping Options! Copyright © 2018 chromeworksinc.biz All rights reserved.